Kieran Hegarty, Segment President of Terex Materials Processing says they are well positioned to support the strong global demand from their customers heading into 2019. Terex Corporation announced fourth quarter 2018 net sales of $1.2 billion, up 16% versus Q4 2017 net sales of $1.1 billion. For the full year 2018, Terex reported net sales of $5.1 billion, an increase of 18% versus net sales of $4.4 billion for the full year 2017. Terex also announced an agreement to sell its Demag Mobile Cranes business and a decision to exit its mobile crane product lines manufactured at its Oklahoma City facility. The Demag Mobile Cranes business sale, which is subject to government regulatory approvals and other customary closing conditions, is expected to close in mid-2019. Terex will continue to manufacture and support several specialized crane products. As part of these changes, the Australia-based Terex Pick and Carry business will now become part of the Terex Materials Processing business segment. "Overall, our global team executed well in the fourth quarter, completing a strong year for Terex," remarked John L. Garrison, Terex Chairman and CEO. "We continued to implement the Focus, Simplify and Execute to Win elements of our strategy and made significant progress in our Commercial Excellence, Lifecycle Solutions, and Strategic Sourcing priority areas. We also continued investing to improve the experiences of our customers and grow our businesses. We will continue to support all of our customers, including those affected by the changes in our Cranes segment, as we execute our strategy to be a high performing, customer-focused company." The Terex Materials Processing segment delivered strong performance across its portfolio of businesses with Q4 2018 net sales of $340 million that were 20% higher than last year and full year 2018 net sales of $1.3 billion, an increase of 17%. Growth was driven by global demand for Crushing and Screening products, Material Handlers, and Environmental equipment. The segment entered 2019 with a backlog of $490 million, 54% greater than prior year. 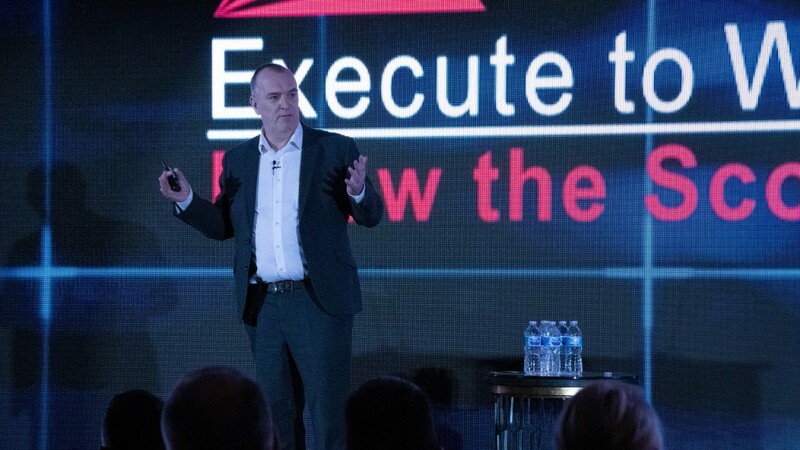 Kieran Hegarty, President, Terex MP commented, "We're well positioned to support the strong global demand we see from our customers heading into 2019 and expand our penetration into emerging markets. New product development will continue to differentiate our MP businesses - with new crushing and screening products being launched this year and new Fuchs material handlers that are designed to serve new markets including timber yards, ports and waste processing. To support our growth we will execute our manufacturing strategy which includes expanding capacity in the UK, India and China and utilizing the Oklahoma City facility in the North America." For more information on Terex Corporation's fourth quarter and full year 2018 results, visit https://investors.terex.com/in... .